Check this out! This "The E.D.G.E." bottle was filled with Whitewater Splash until I drank it. Not a big deal? Leave the site right now if you don't think so. 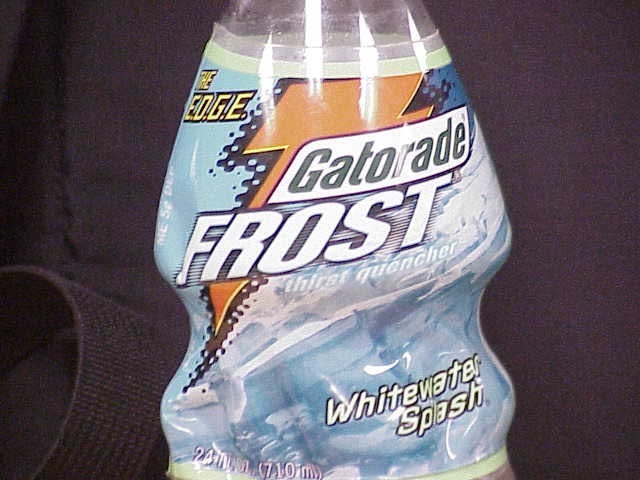 Any so-called Gatorade connoisseur would know that the "Ergonomically Designed Gatorade Experience" bottles were first introduced after the discontinuation of Whitewater Splash! Someone at the Gatorade plant must be causing a major surge trying to keep Whitewater Splash alive. I love it.